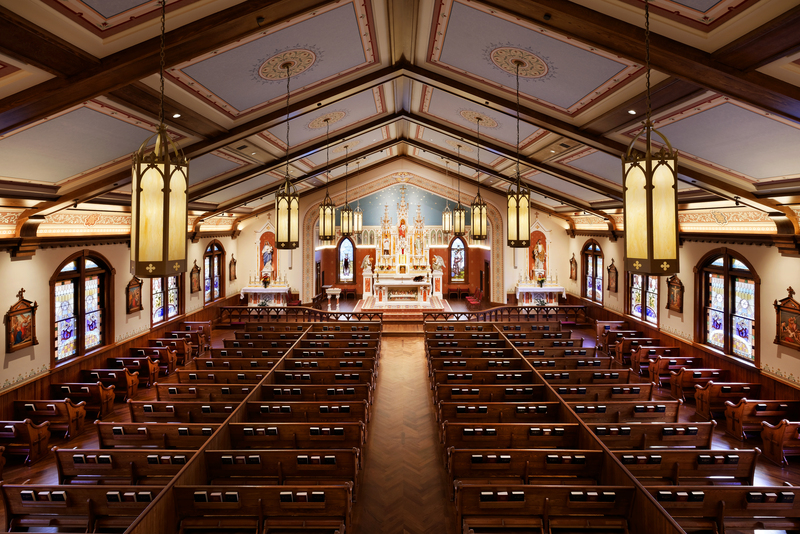 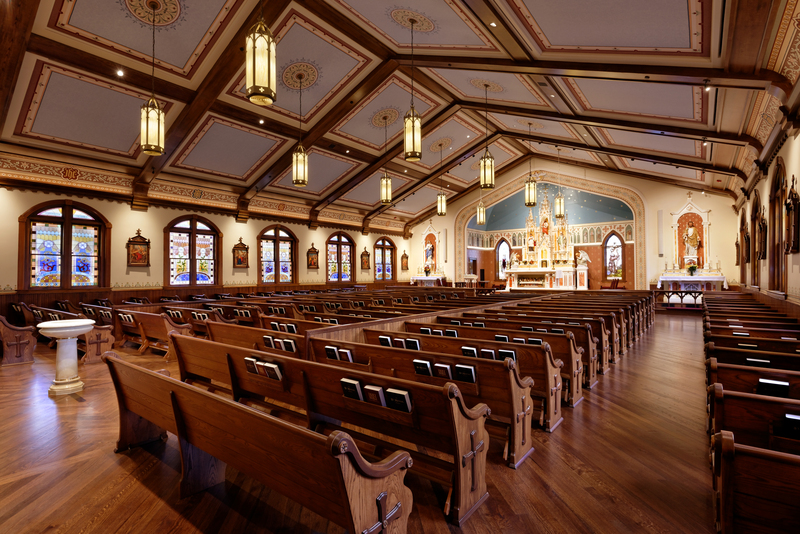 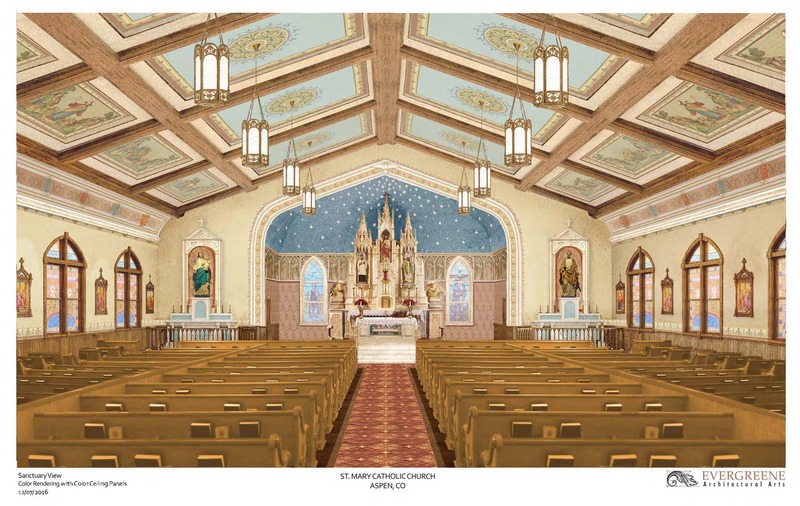 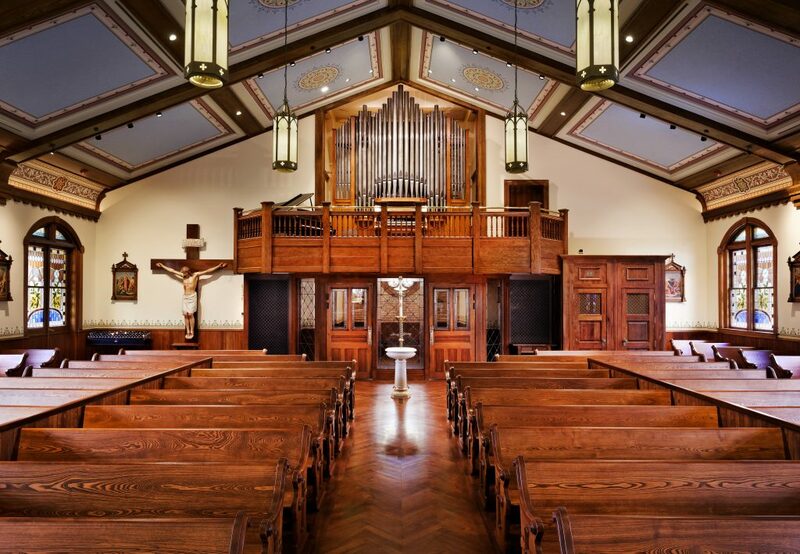 EverGreene created a new harmonious design concept for the renewal of St. Mary’s. 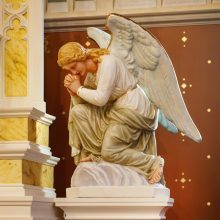 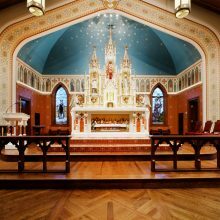 The renewal design process was implemented through a three phased development to create a new liturgical artistry program. 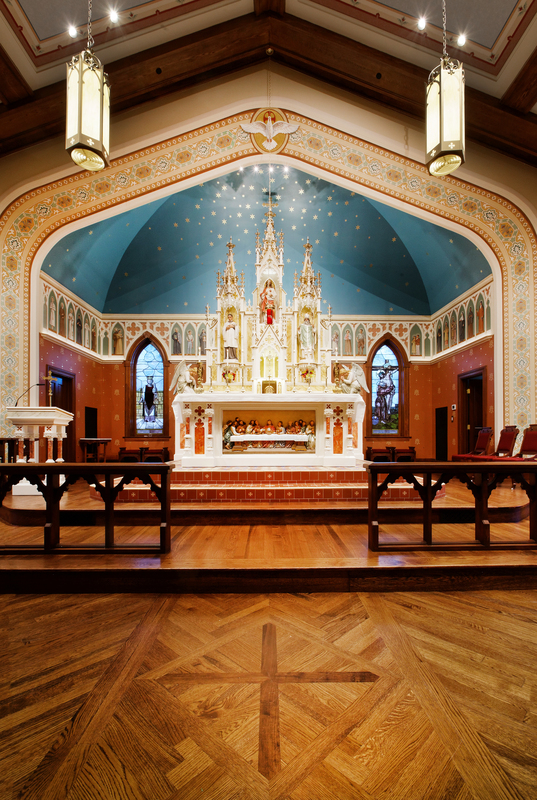 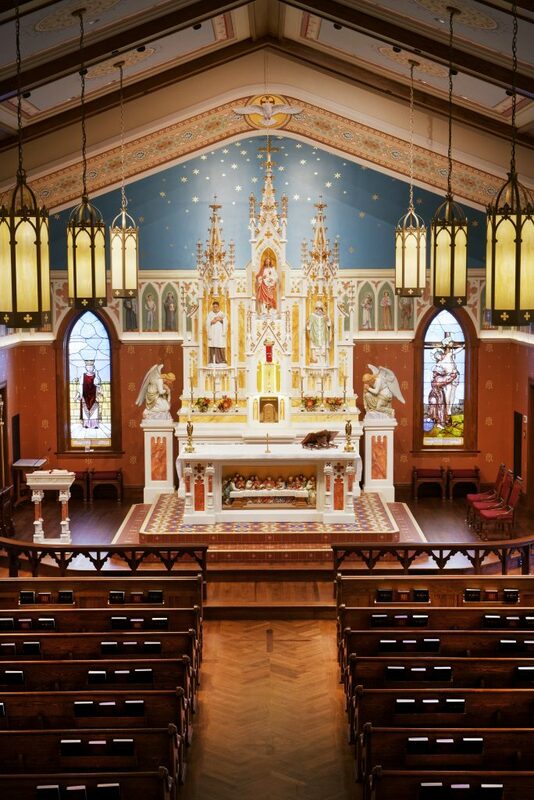 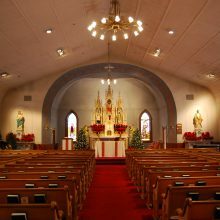 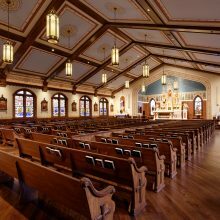 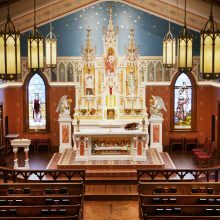 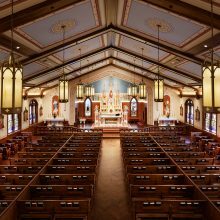 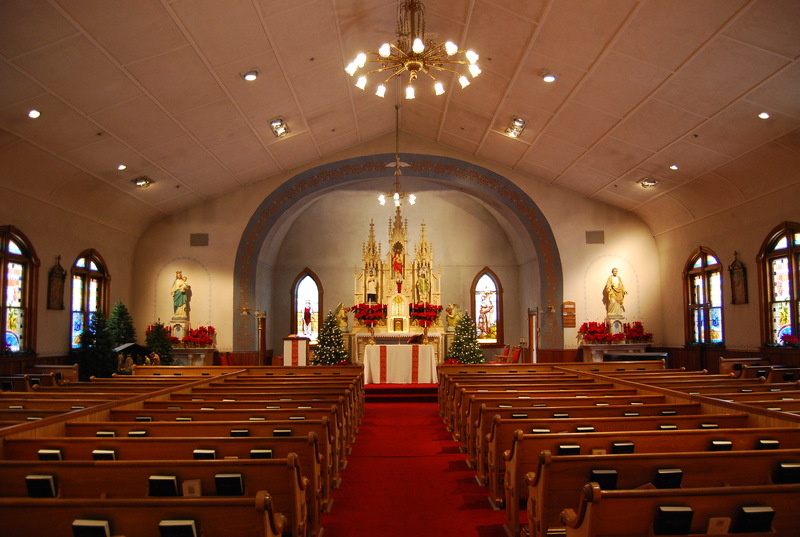 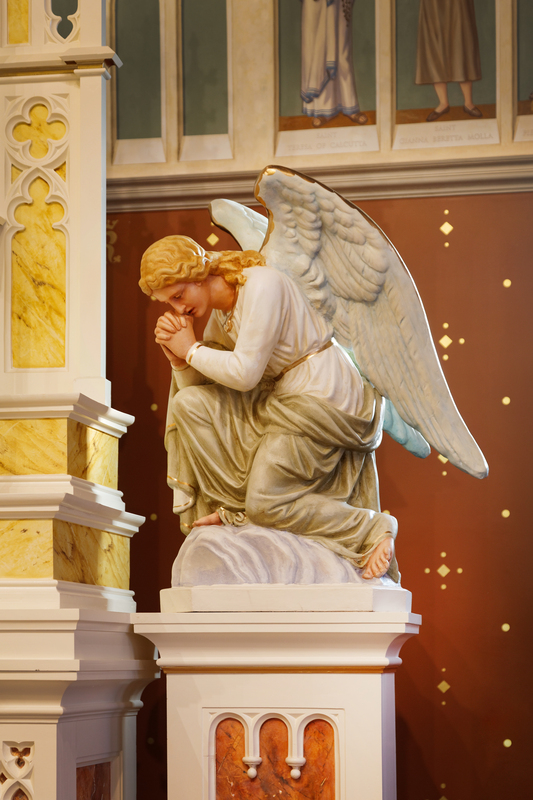 Notable elements include a new color palette, Communion of the Saints frieze in the sanctuary, and new pulpit and priest chair. 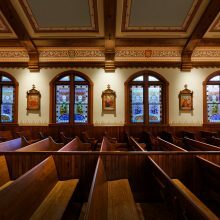 EverGreene’s designers painted and printed the new mural and decorative paintings on canvas in the Brooklyn Design Studio. 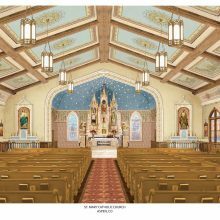 Painting elements included the upper wall stars and arch surrounds onsite. 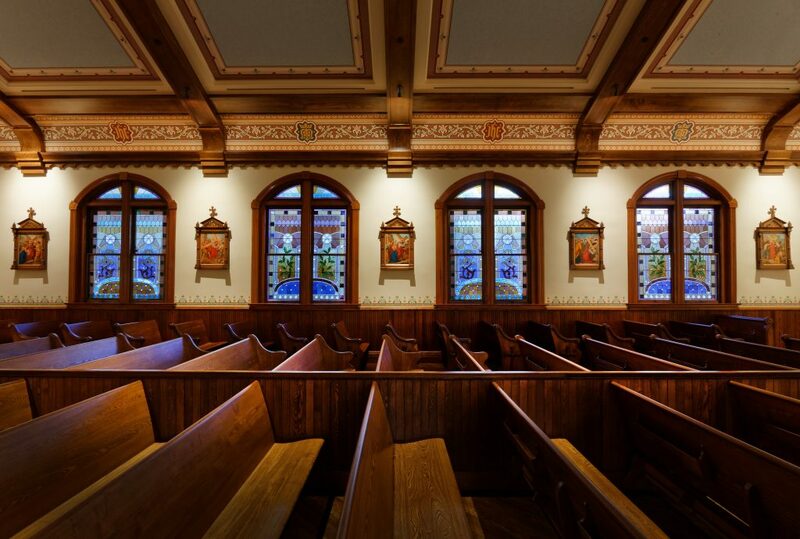 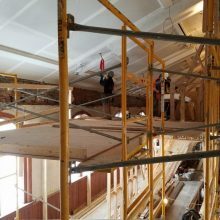 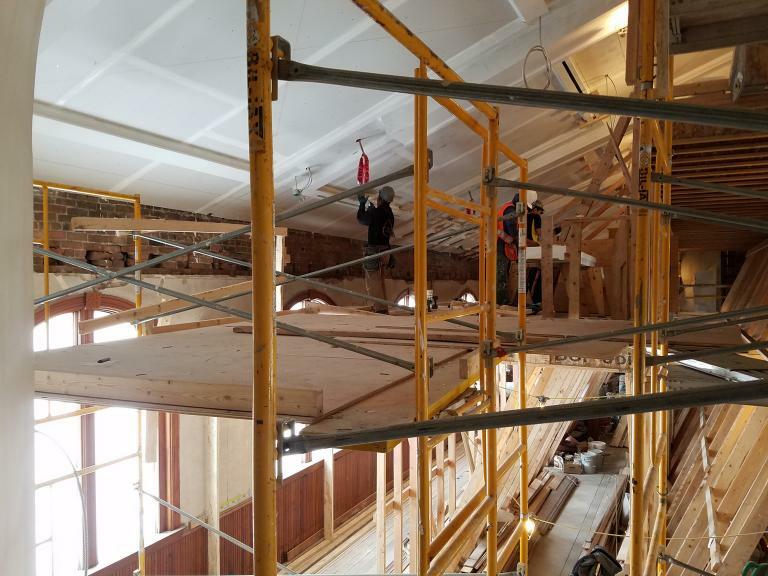 The plaster studio fabricated the BVM and Joseph frames, frieze, and cornice. 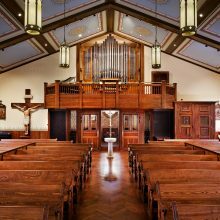 Conservators, painters, and a sculptor installed and finished new furnishings and sculptures as well as restored the existing.